The demonstrations and violence surrounding the anti-Muhammad film Innocence of Muslims reveals two worlds which could not be further apart. The West cherishes freedom of expression and allows religious ideas to be subject to debate, denial, and even ridicule. Meanwhile, efforts to enshrine blasphemy provisions in Egypt’s new constitution are well underway, surely to receive a boost from this most recent outcry. Those most offended took to the streets and unleashed the vilest invectives against those who insulted their prophet. Lapido filmed people at the US embassy in Cairo who were noisy, though not riotous. Of the involvement of a supposed Israeli-American Sam Bacile (now known to be an alias for an American Copt Nakhoula Bacile Nakhoula) the crowd shouted, ‘Khyber, Khyber, oh you Jews! The army of Muhammad will return!’ Khyber refers to Muhammad’s victorious 629 AD siege of a Jewish oasis in the Arabian Peninsula, where he imposed the jizia tax for the first time. 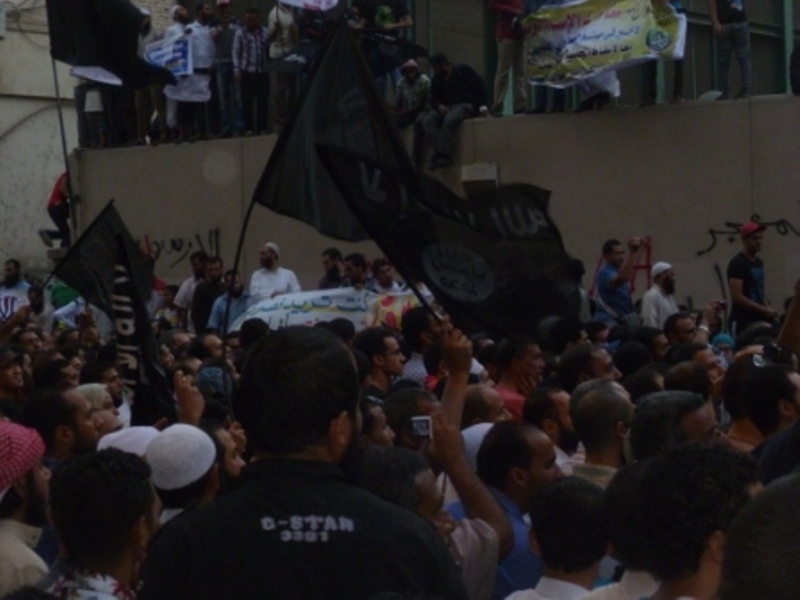 Lapido Media spoke with two Islamists about the recent protests, in a bid to understand. Mohamed Omar Abdel Rahman of the Islamic Group received Lapido the evening of the first day’s protest, when the flag of the US embassy was removed and burned. His family has maintained a sit-in protest on the opposite side of the embassy for over a year, demanding the release of their father, Omar Abdel Rahman. Better known as the Blind Sheikh, he is in prison in America over his role in the 1993 World Trade Centre bombings. Abdel Rahman is not a religious scholar, but a veteran jihadist from the wars in Afghanistan. ‘For any offence against Islam,’ he said, ‘the Muslim has the right to defend himself against the one who says it, and shouting “our lives and our blood” displays his love of his religion. 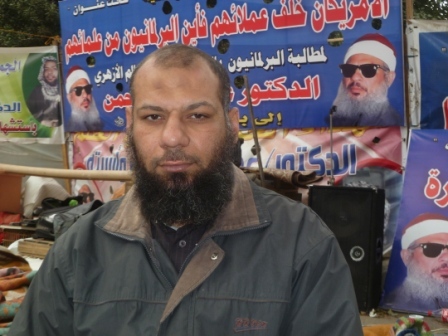 Concerning the signs praising bin Laden and calling foreign Copts ‘dogs’ and ‘pigs’, Abdel Rahman stated this was not meant literally, but ‘to scare them’. Asked about condemning all foreign Copts without distinction, Abdel Rahman stated this was a misunderstanding of Arabic rhetoric, where the general was meant to convey the particular, and exaggerate the grievance. The use of insults was also misunderstood by the West, conveying not literal figuring but contempt. ‘This also is allowed in Islam,’ he stated, when invited to compare such contempt with the Qur’anic verse extolling ‘good preaching’ against a non-Muslim challenger. 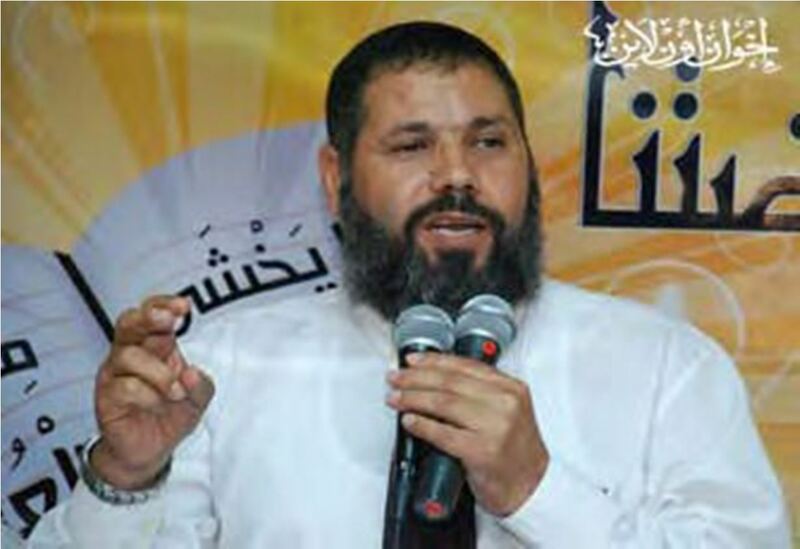 Lapido then asked Abdel Rahman al-Barr, a member of the Muslim Brotherhood’s Guidance Bureau specializing in the shariah, to comment in a written interview. By this time the American ambassador to Libya had been murdered, the embassy and school attacked in Tunisia, with outbreaks of violence in many other parts of the Muslim world. ‘Religion is one of the sanctities that man will protect and defend with all he has, even if this leads to giving his life,’ he said. To explain what makes this a religious obligation, al-Barr drew from a well-known tradition of the prophet. Al-Barr noted that many of the demonstrators were ‘common people’, and Egypt did not have a culture of demonstrating. He hinted that the slogans used might be questionable. ‘Islamic morality is moderate in both satisfaction and anger,’ he said. ‘Powerful expressions of anger must respect justice. The Qur’an says: “God does not like the public mention of evil except by one who has been wronged” (4:148). Al-Barr blamed the media for taking an obscure film and throwing it in the face of Muslims. He gave no credence to the idea that religious scholars had a share in the blame for the excesses which took place, but did suggest some regret. Instead, ultimate blame lay elsewhere, indicating the vast difference in cultural perspectives. It looks like these people know nothing about Islam. For them everything is ‘permissive in Islam’, no rules, no punishment. If they did anything to anyone, the Sharia says that they should receive the same thing exactly, the rule is called ‘Qisas’. If a Muslims kills, he should be killed, if a Muslim caused blindness to someone, he should be caused blindness as such, if he as you quoted ‘tears someone from limb to limb’, he should be torn from limb to limb just the same way. Rules are rules. What they seem to do is reversing the rules and make them play to their favor. They go perfectly against what they were ordered to do in that situation obviously and clearly described in the Quran. Wish the person who interviewed them would deliver this message to them. Thanks, Safeiya. That seems a very poignant verse in these circumstances. I’ll try and tuck it away for future conversation. The point I took away from speaking with both (and others) is that they characterize the insults given to Mohamed and Islam as ‘oppression’. I would see it as nothing of the sort, however crude and ignoble. There is real oppression in the world, suffered by Muslims and others. True. Which is something that people should change by sincere, persistent actions, not only angry protests every now and then. Concerning the verse I mentioned, I want to make clear that we don’t believe that all ‘People of the Scripture’ or ‘People of the Book’ are one thing.. It’s not that we expect offense or abuse from all Christians and Jews, for we distinguish between the Christian believers and the Christian non-believers. Well put, Jason. I hope Rudyard Kipling’s words, “East is east and west is west and never the twain shall meet” will not prove true form many more years. I also trust that the good sense of moderate Muslims (whatever they base it on) will prevail and and that we will live in peace and reconciliation. May God help us all to be tolerant.